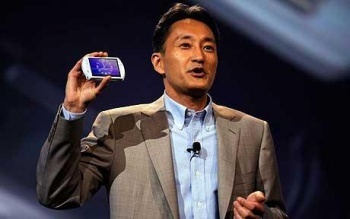 Sony CEO Kaz Hirai acknowledges that the latest portable PlayStation hasn't exactly set the world on fire. The PlayStation Vita may be a fine piece of hardware but it certainly hasn't thrown Sony's mobile gaming fortunes into a fast, squealing Bat-turn. Sales in Japan tailed off very quickly after the system was released, as they did following its launch in the rest of the world, and in some weeks it's actually been outsold by its much older predecessor, the PSP. That in itself isn't necessarily the end of the world - the PS2 outsold the PlayStation 3 for ages - but the early days of the Vita aren't knocking anyone's socks off. "I would say it's on the low end of what we expected," Hirai told the Wall Street Journal. He added that it can take five or even ten years to determine the success of a gaming console, however, and pointed out that similar concerns were expressed about the PlayStation 3, which was also a slow starter. "Long term is what is important," he said. One of the biggest challenges facing the Vita is the broadening of the mobile game space thanks to the advent of iPhones and Android devices, which bring impressive power and a huge range of low-cost games to people who would never even think about purchasing a dedicated mobile gaming system, and now Nvidia wants to crowd the field even further with its "Shield" portable gaming device. But Kirai said that the gaming business has always been very competitive and plenty of names have come and gone, warning, "It's not an easy business to get into."